L&N Internet Banking is a FREE, completely secure service that allows members access to their accounts 24 hours a day, 7 days a week! All transactions performed are in real-time, which gives members up-to-the-minute details on accounts. 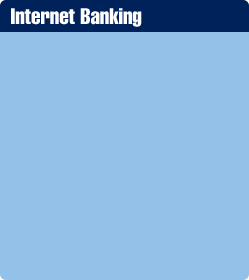 Check out the Internet Banking Demo located on the Login screen. View bank account statements and financial notices and other correspondence online for all accounts with eDocuments. Sign up for Account Alerts and customize them to your needs. You can choose to receive Account Alerts via email, text or both! Click here for more information about Text Alerts. Move Money easily within Internet and Mobile Banking. Click here for details. Transfer funds between your L&N accounts. Member to Member Transfers – Deposit funds to other L&N Member’s accounts. External Transfers – Move money between L&N accounts and other financial institutions. For information on External Transfers, click here. Pay anyone, anytime, anywhere for FREE by using Bill Pay. Enjoy the convenience of paying bills online at your convenience. Schedule recurring payments so your regular bills are automatically paid each month. For more information on Bill Pay, click here. With convenient access to your L&N and external account data budgeting, identifying financial objectives, trends, and opportunities has never been easier. Money Management is a financial management application that gives you more control and access to your important financial information. Earn rewards with our easy-to-use Purchase Rewards program. No coupons necessary! You are presented with offers based on where you shop. Simply activate the offers linked to your L&N Debit Card within Internet or Mobile Banking, and go shopping! Get more back during tax season using TurboTax! Save up to 15% on TurboTax products through L&N’s Internet Banking site. Enrolling in Internet Banking is easy. Here's how! You will need your member number and a PIN to access Internet Banking for the first time. First time users may obtain a PIN from any branch or by calling 502.368.5858 / 800.292.2905. Current users of our DAISY Service may use that PIN to enter Internet Banking for the first time. After successfully logging in as a first time user, you will be prompted to change your username and PIN. To learn about phishing and other internet fraud scams, Click Here. * Please note that alerts are not real time and are sent at 8:00 am, 12:00 pm and 4:00 pm EST. Tex Alerts service is free of charge, but standard carrier fees for text messaging may apply. Please check with your wireless carrier if you aren’t sure what fees apply when you send and receive text messages.